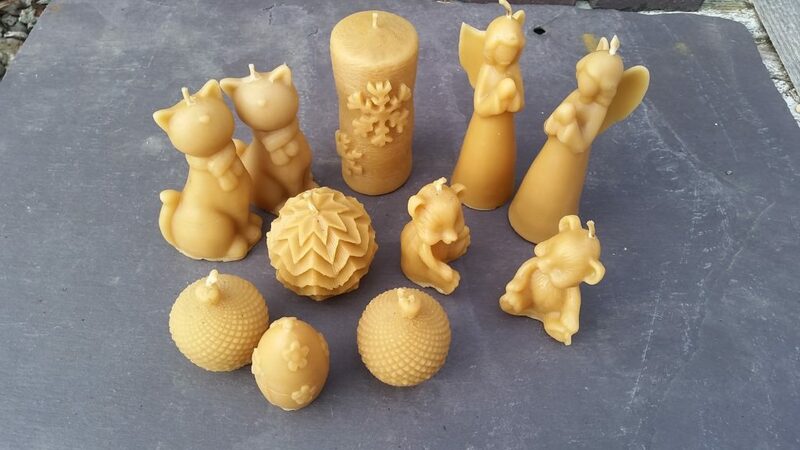 Did you know that beeswax candles clean the air when they burn? Because beeswax candles clean the air and reduce indoor pollutants, they can effectively reduce asthma, cat allergies, and hay fever. Beeswax releases negative ions when it burns. Pollen, dust, dirt, pollutants, and any other particles in the air all carry a positive charge, which is how they are suspended in the air. The negative ions released from burning beeswax negate the positive charge of air contaminants and the neutralized ions are sucked back into the burning candle or fall to the ground. Many air purifiers and water filters harness this effective negative ion technology. Learn to make your own candles using beeswax from hives sited on the nearby Hook Peninsula. In this unhurried and story-filled workshop, discover the subtle qualities and remarkable health benefits of pure beeswax, and learn the techniques needed to make candles of your own. You will fill four distinctively shaped candle moulds, create your own personalised sandcast candle, and experience traditional dinner candle dipping as practiced by the Cistercian monks at nearby Tintern Abbey. You will also, of course, take your very own moulded candles home with you!